As a registered Conveyancer since 1985, I have worked extensively in the Adelaide Hills and throughout South Australia over the last 30 years. 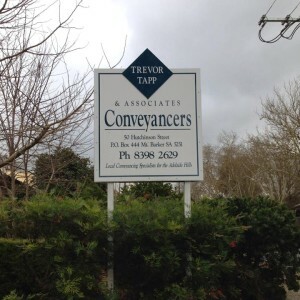 Coming from a banking background and having spent a number of years working in association with lawyers, I have a comprehensive background in the Conveyancing industry and established my own practice in 1990 in Mount Barker. We are proud members of the Australian Institute of Conveyancers.